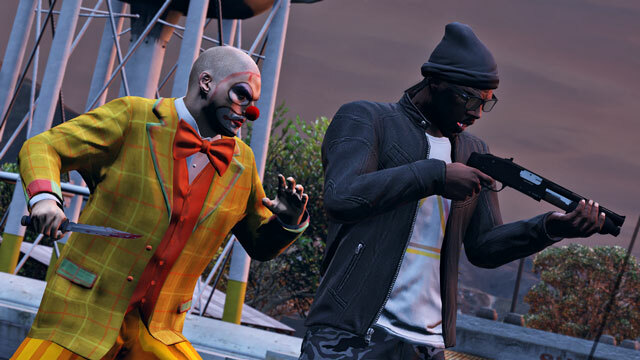 Today, we've got ten exemplary additions to the pool of Rockstar Verified GTA Online Jobs , including the first batch of creations utilizing the Last Team Standing mode. There are also five additional new Verified Jobs, including a fun and frightful Capture that's among the best we've seen to date. Each of these has a maximum of 16 players, so they are all available now to play across all platforms. Congrats to all our featured creators, and a special acknowledgement is in order for those picks in our #LTS Creator Competition , the masterminds behind those Jobs will each receive a GTA$1,000,000 infusion and the exclusive BODYBAG in-game license plate. We're also adding select Jobs from this latest round of Verifieds to Friday's new Featured Playlist, and will be showcasing them on our Twitch stream later this week at 4PM on Friday, February 6th. The sun shines down on San Andreas Shootout LTS. An epic and exhilarating arena-style LTS in the woods around Raton Canyon. Teams face off across a gully and must either use the natural contours and cover to get close enough to draw first blood, or find themselves long-range weaponry and fight from afar. As with all Last Team Standing Jobs, your blip on the enemies HUD is always visible, so use your teammates to provide a distraction while you grab the central RPG and try to sneak behind enemy lines. Although limited visibility through the trees makes long-range sniping a challenge, you can find good positions to take out the entrenched opposition. As sgt-vaguepouch explains "Stay out of sight or approach carefully. Take your time to take the opposition out one by one." An excellent example of an LTS that presents different challenges for each team, much like the Rockstar Created Skyscraper . In this case, the "robbers" start on top of the parking garage, hunkered down with Molotovs, RPGs, Heavy Snipers and Advanced Rifles. 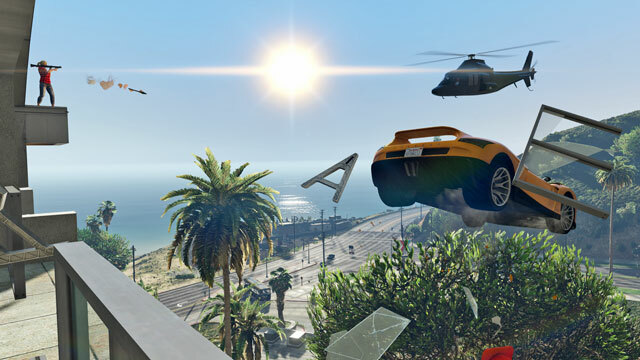 Meanwhile the "coppers" approach from the GOH in FIB cars, the Police Riot armored truck, or the Buckingham Swift. Coordination and timing on the ground is key in order to outsmart the team with the height advantage – try to surround them and lure them out from their hiding place, but don’t get caught in the crosshairs! Teammates shoot across the gulch in Stealth Required LTS. MRPTHUGLIFE, leader of Free Aim Crew GTA United World , elected to use props sparingly over a wide area in this vehicle-focused Job. 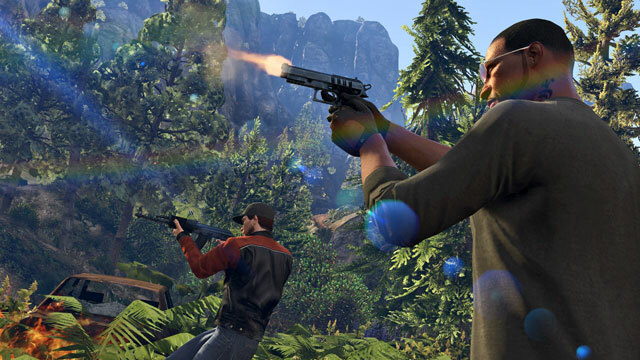 Each team begins with four Buzzards and four Rhino tanks at their disposal, but more treats are tucked into the hillside above the coastal road just south of Paleto Bay. The Buzzards can be used in two ways: protect the Rhinos as the ground assault team move in on their opponents; or take to the high ground and land next to the RPGs and Heavy Sniper. From there, bed in and wait for the right moment to strike. An excellent arena-style LTS that forces you to move fast and think faster in order to outwit your opponent. Stick with the default setting of 4 Rounds since each Round is short and brutal. Teamwork is key to cover all of the angles. Once everyone is posted up, move between cover spots to attack from both sides or overload the enemies with 2-on-1 situations at close quarters. The default weapon is the Combat MG, a rapid and powerful machine gun with the range to pick off heads peeping out from behind wrecked buses. Props to Matt-Conman for the balance on this Job, giving both sides different elements to play with, but equal opportunity to take the win. Already having been played an impressive 2.5k times, this one is a balanced and fun map with a high replay factor. Set in the Vinewood Bowl (a space we think has been surprisingly underused for Deathmatches and LTS Jobs), both sides spawn near SMGs, and must either make a break for the RPGs up in the nosebleeds, or put themselves center stage to collect the Minigun. Tip: stick to the side walls to minimize the chance of getting caught in the crossfire, and also to maximize the cover available to you. Here, Blaine County's quiet moonlit farming village of Grapeseed is transformed into a zombie-infested, post-apocalyptic circus of death. On your way into town, abandoned military vehicles and artfully-placed pickup trucks provide smart visual cues evocative of classic zombie horror movies. Coulrophobes beware - in the center of town is a clown-infested circus where a Sawn-Off Shotgun will blow away the first wave of knife-wielding night terrors, but once you're surrounded there's no escape. Teamwork is crucial to battle your way through to the Capture bag, and protect you from the shots fired by the Team coming in the other direction. Make for a quick exit, but be sure to leave some of your Team behind, so that they are primed and ready for when the Capture bag respawns. Be sure to watch your back in Contend: Zombie Town. An exciting, high-speed Super class Race around Portola Drive and the Vangelico Jewel Store. This crisscrossing track promises high speed collisions in any 16-player session, and allows anyone slipping behind the leaders to still make a nuisance of themselves. Neatly placed roadside props indicate a detail-orientated Creator in mozo15, although cynically placed tire stacks will punish any wildcards who don't respect the course layout. Be careful of the road's natural contours around the subway, as these could also spin out anyone falling foul of the "less haste, more speed" truism. A track for the mature racer. A moody and atmospheric battle amidst the undulating terrain of the Grand Senora Desert that's best played at night and with the rain pounding down to heighten the tension. Be careful in the ‘no man's land’ between limited clumps of cover: stay close to your team and communicate as you dash between cover to make sure you have all points accounted for. Powerful weapons & explosives litter the battleground and can easily be used to blast away stragglers. Note that the Buzzard placed near each team's spawn point does not respawn, so use it wisely. Also, there are RPGs on the battlefield but they're not Homing Missile Launchers, so be sure to set Weapons to Forced and Pickups - to ensure the Buzzards can't be picked off too easily. Sedans race past the eponymous nightclub in Bahama West Mama Mia! 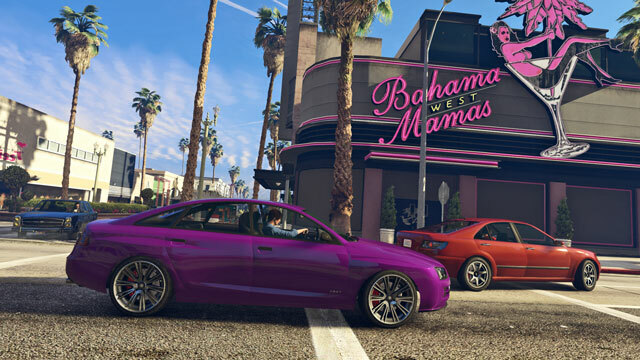 A very short, very technical Race around the Bahama Mamas West nightclub in Del Perro. Tight turns, narrow alleyways and a 16 player limit make this race chaotic, difficult and a great challenge. The default vehicle class of Sedans is an inspired choice for swinging round the corners while not letting players pick up too much speed and lose control going through the alleyways. Stick with the default non-contact setting and aim for a clean Race to max out your chances of earning a W - you might even be able to lap a few stragglers over the course of 3 laps. Bobchilli is a Race Creator veteran, with 53 excellent races to his name - congrats on your first Verified, Bob!